Laptops and detachable tablets have come a long way in recent years, becoming smaller, lighter and more energy-efficient with each new generation. But, even though they're more portable, they're not necessarily easy to use on the road as well. What I mean by that is that connectivity remains limited to Wi-Fi for the vast majority of devices that hit the market these days. If you don't have coverage, you have to set up a hotspot on your phone. And that's a shame. However, there are some notable exceptions, with the Surface Pro with LTE Advanced being one of the most interesting of the bunch. 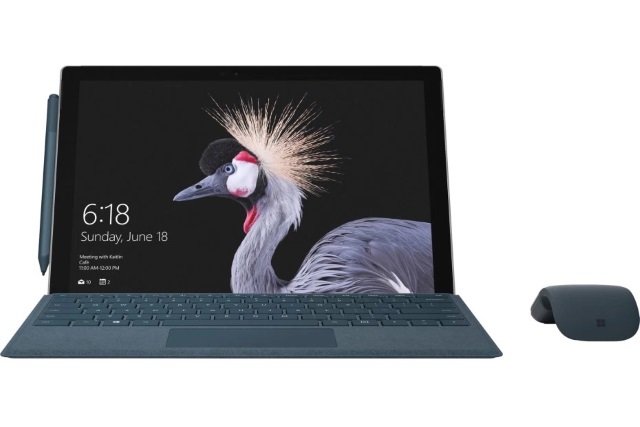 The Surface Pro is among the best detachable tablets that you can get today, not least because it lets you connect to a cellular network. It's sleek, has powerful hardware, the display is pretty good for casual work, and it's got Windows 10 on it as well. The LTE version made its debut last year, being released for business customers in December. (The series launched in the first half of 2017.) And, now, consumers can finally get their hands on one too. Well, after the pre-order period is over, at least. There is only one model with 4G LTE in the Surface Pro range and that costs $1,449. There's no keyboard included, of course, and, if you're a student, parent, teacher or part of the military, you can get it for a bit less -- $1,304.10. For the money, the Surface Pro with LTE Advanced offers an Intel Core i5 processor coupled with 8GB of RAM and a 256GB SSD. It's basically the best value for money model in the range, with a 4G LTE chip on top. Microsoft says that this version will ship to consumers by May 1, which is nearly two months from now. Hopefully those who pull the trigger on one now will not have to wait this long.